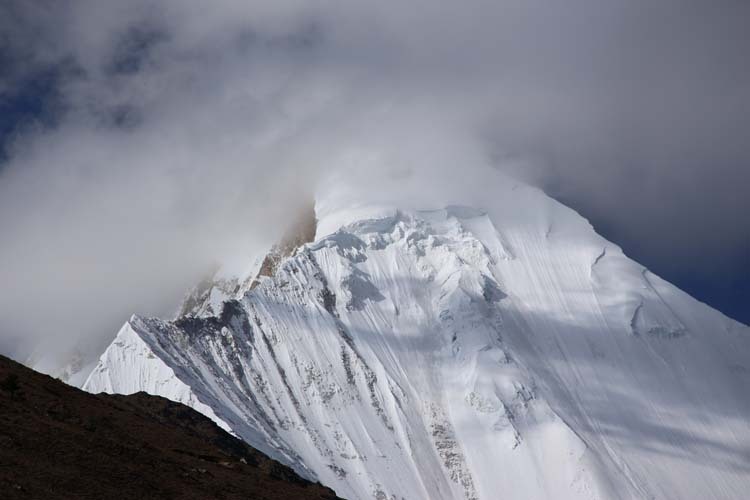 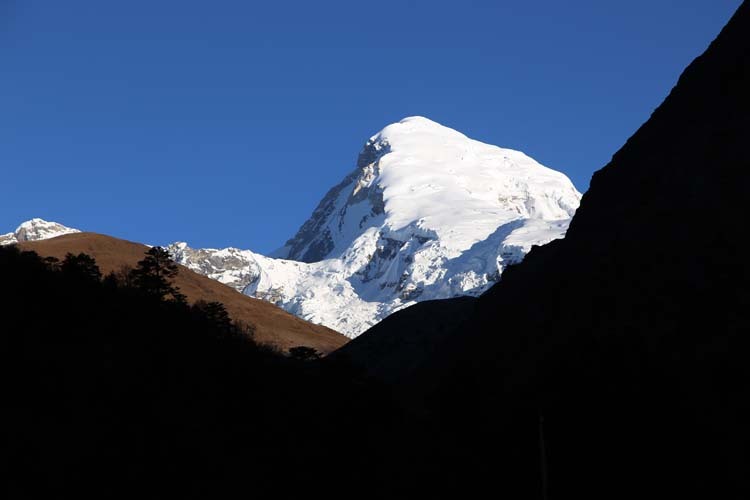 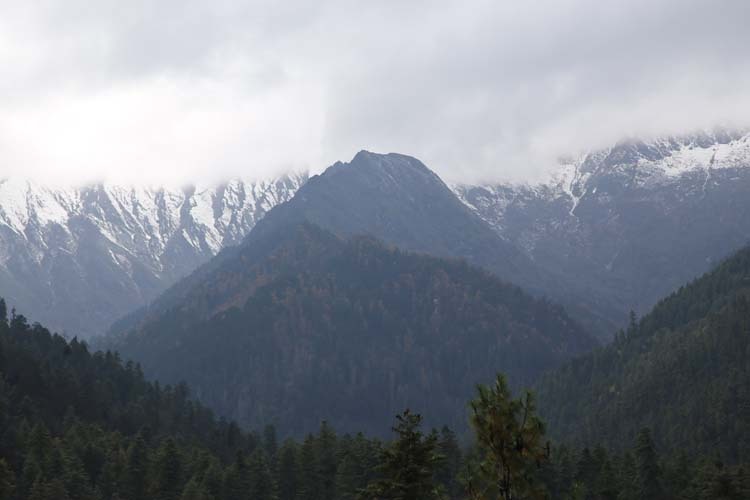 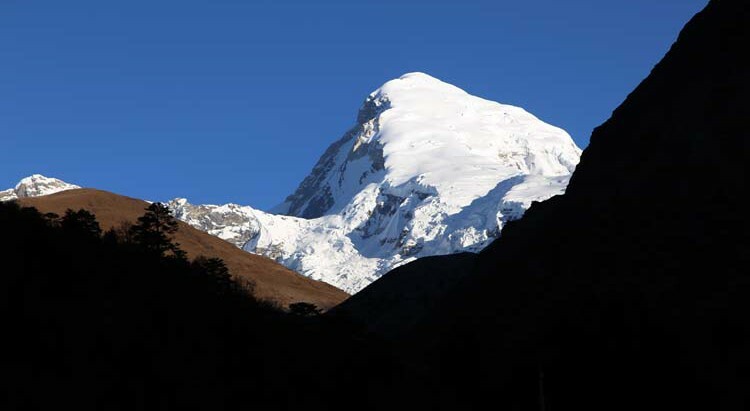 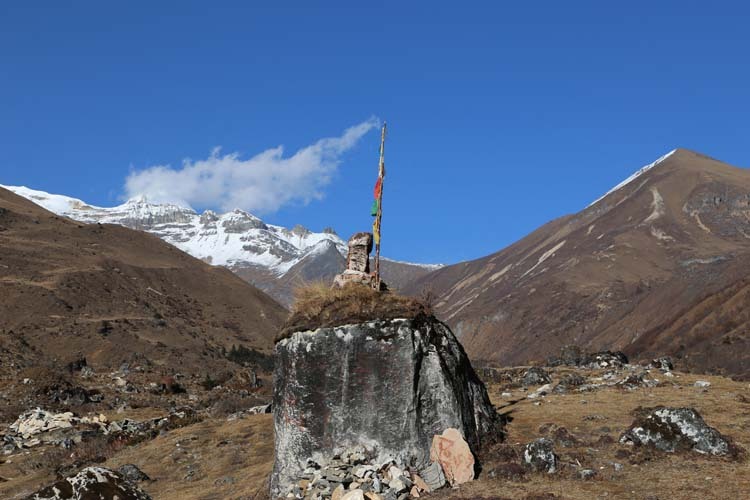 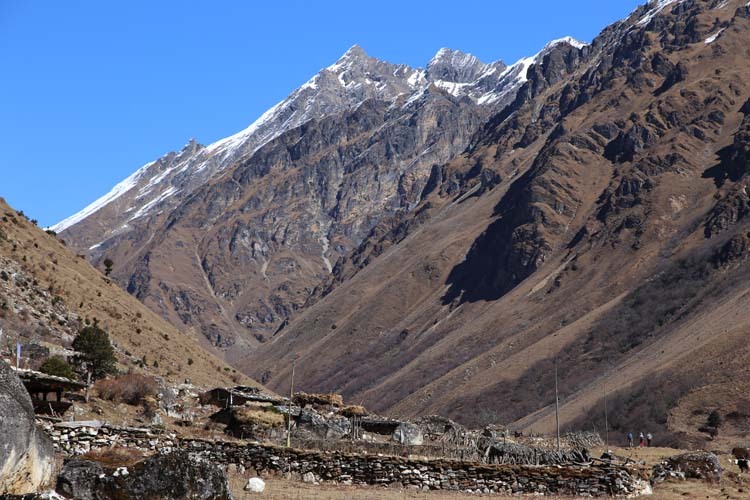 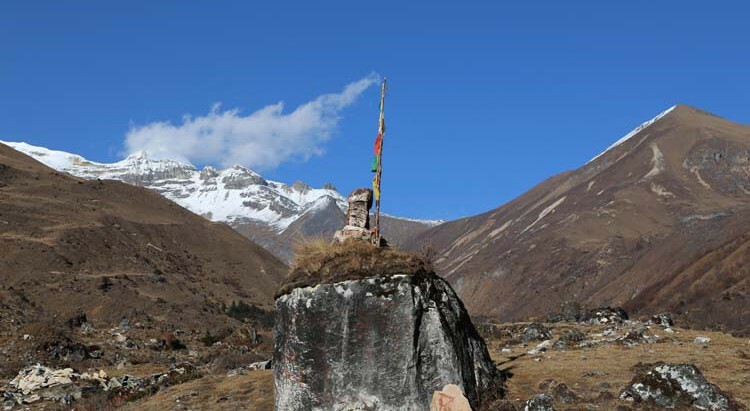 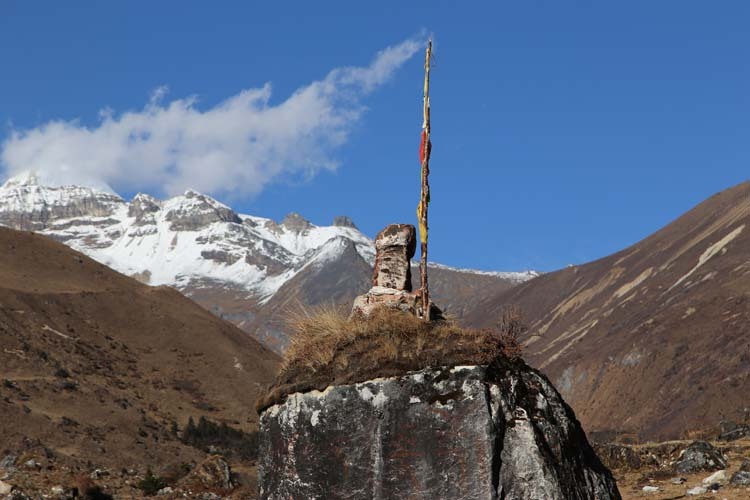 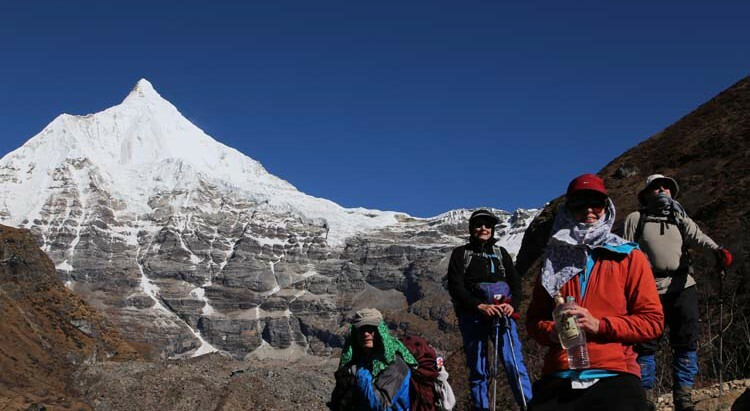 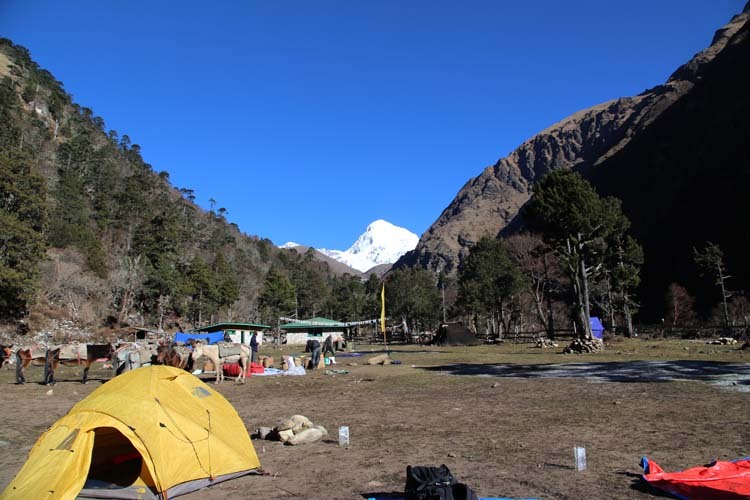 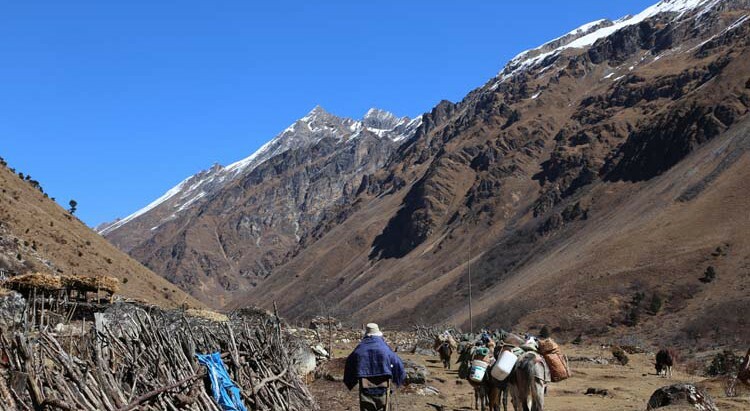 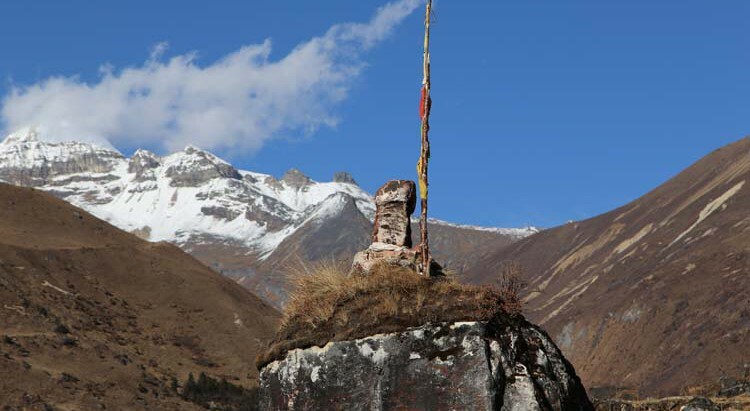 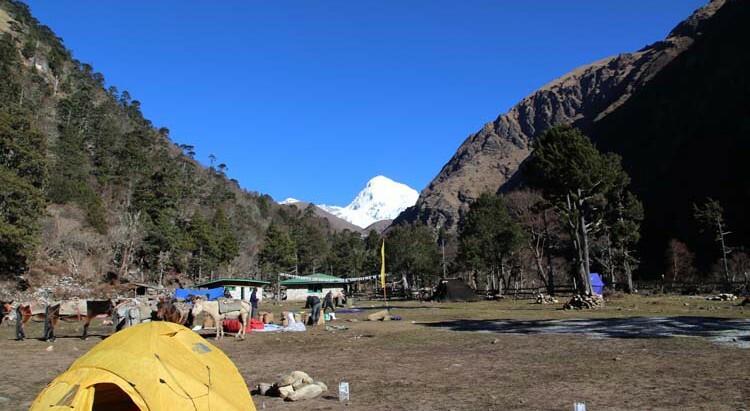 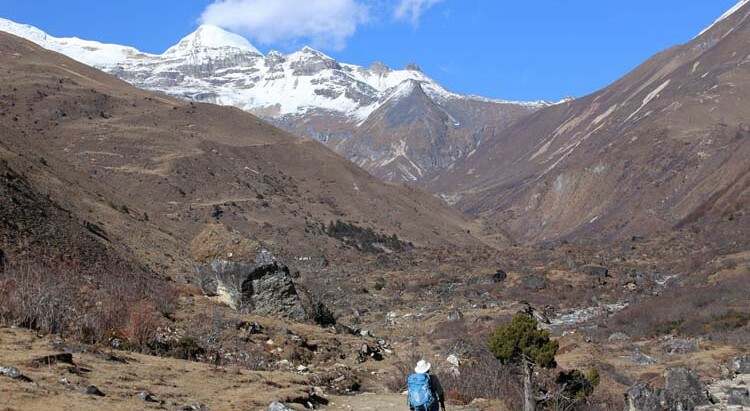 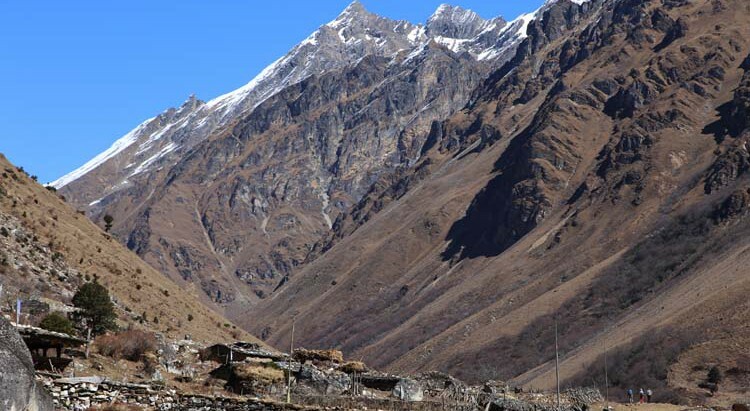 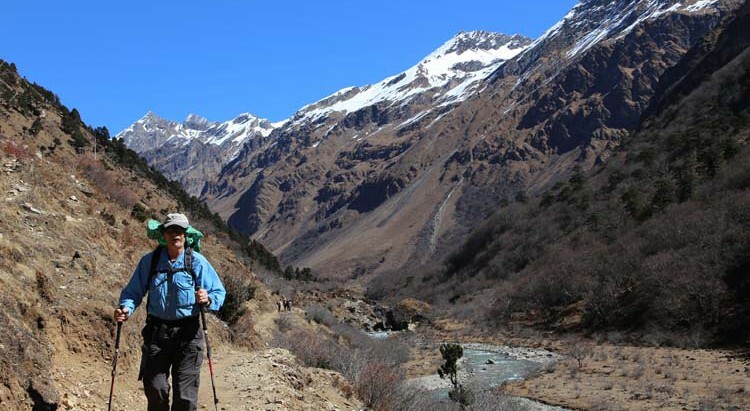 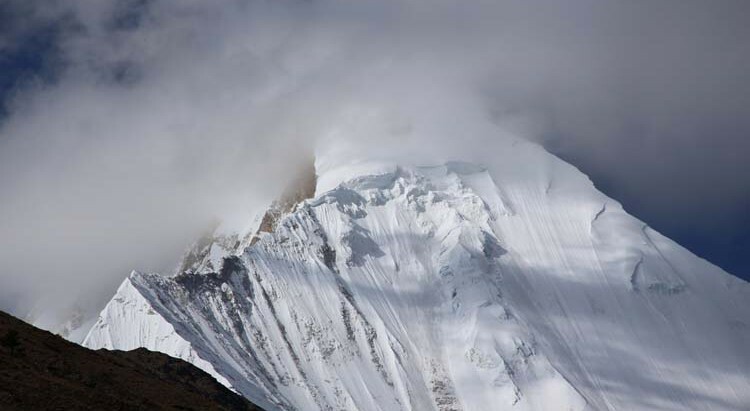 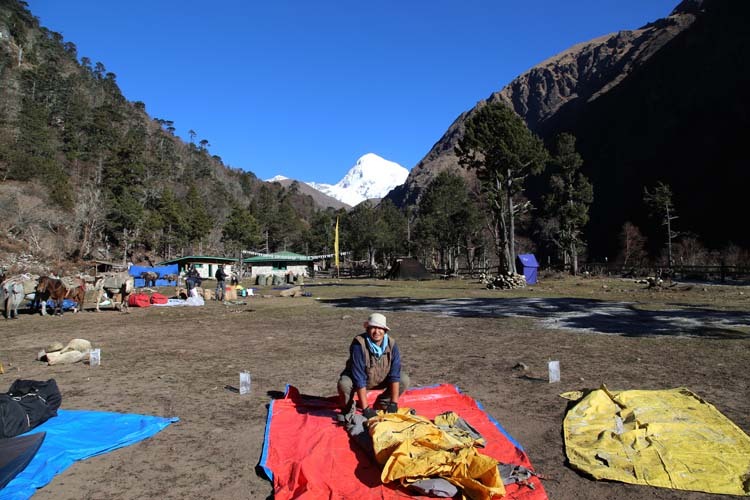 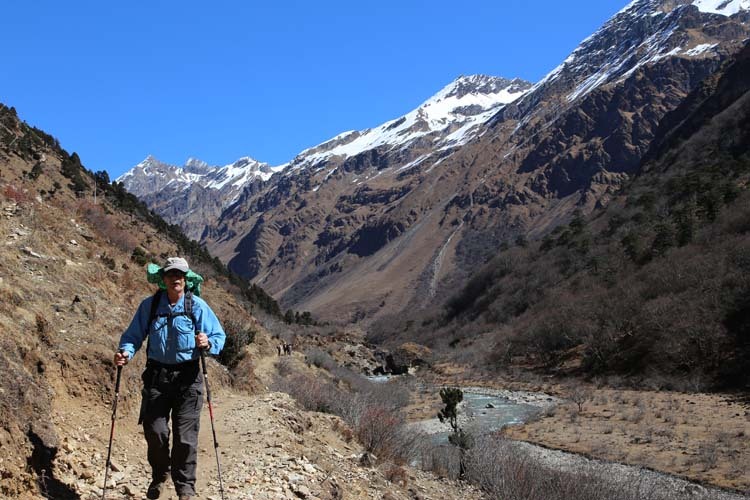 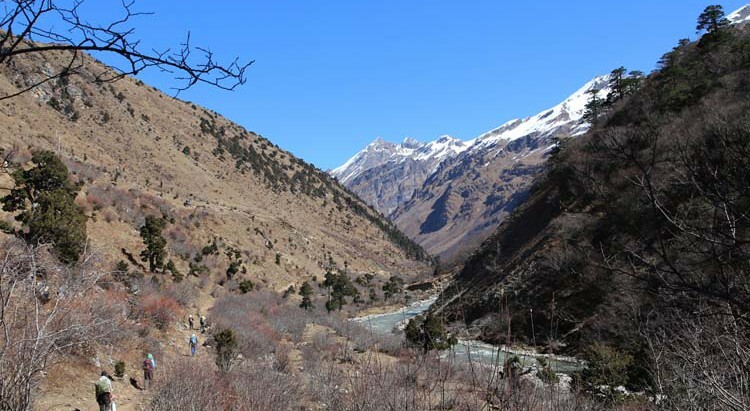 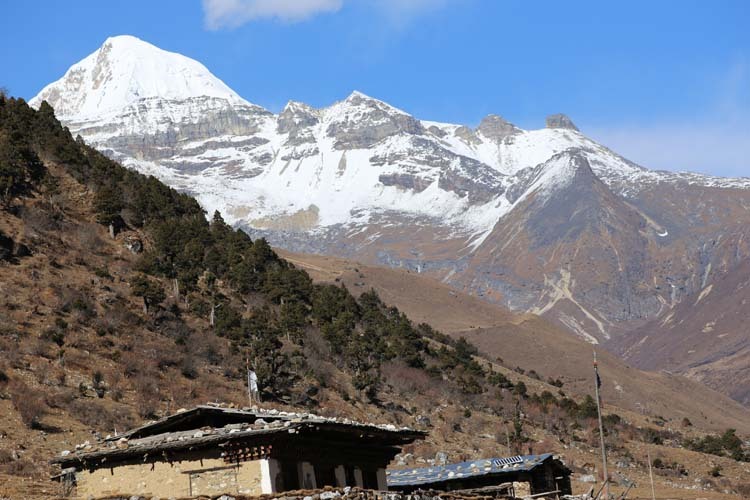 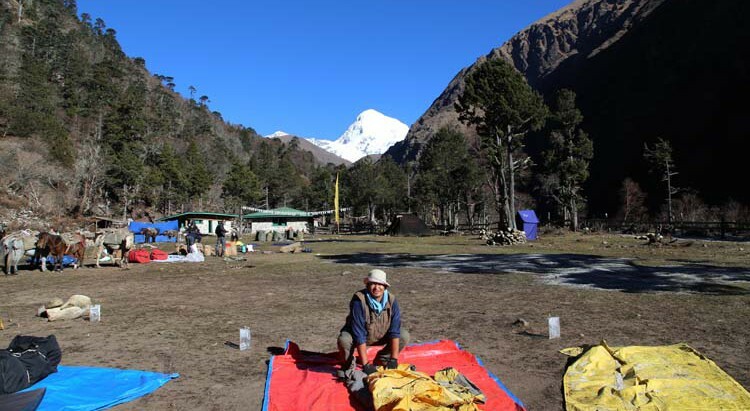 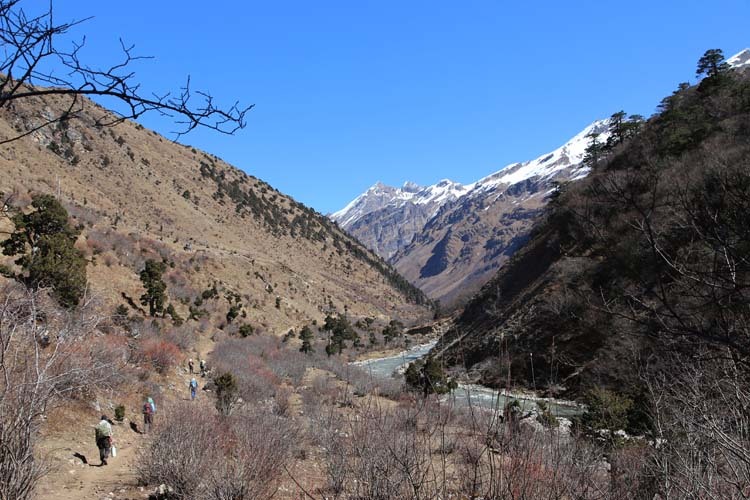 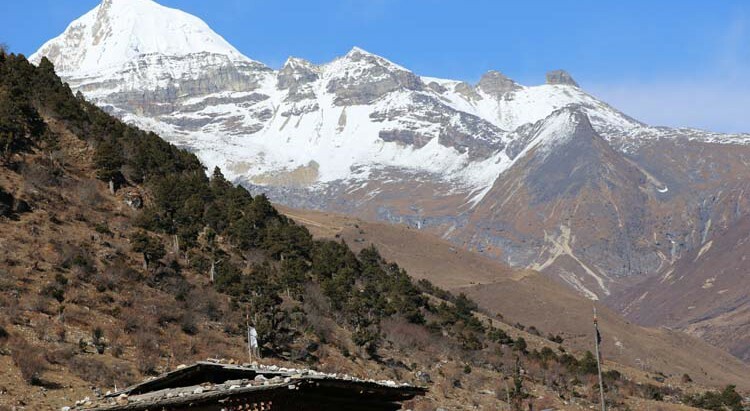 Jhomolhari Trek is longer than the Jhomolhari Loop – the most popular trekking routes in Bhutan. 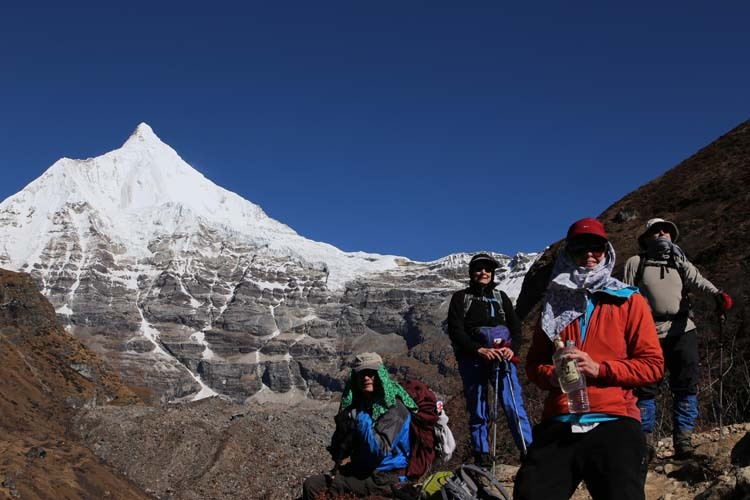 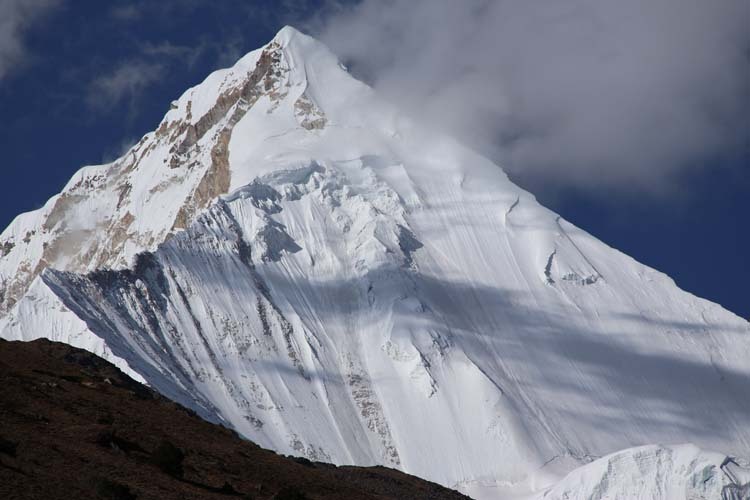 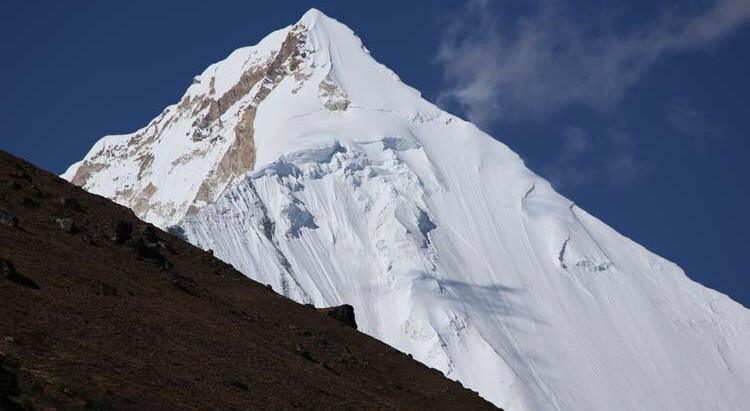 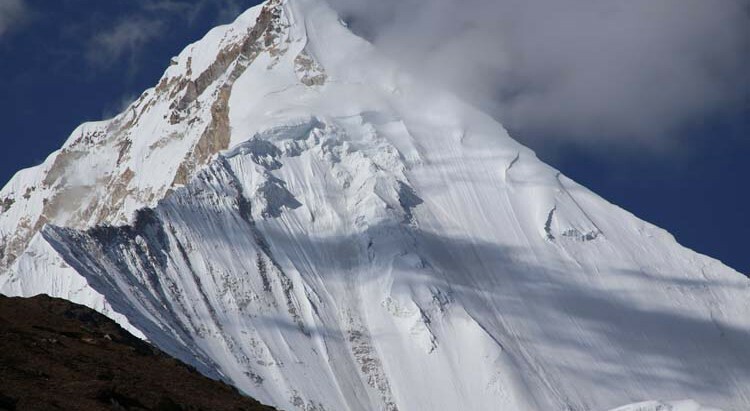 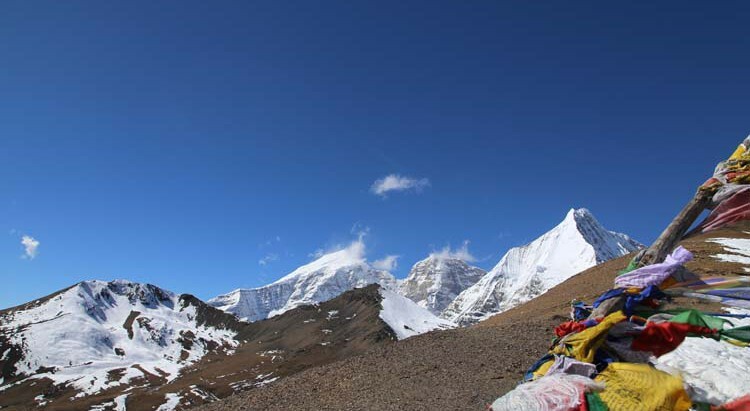 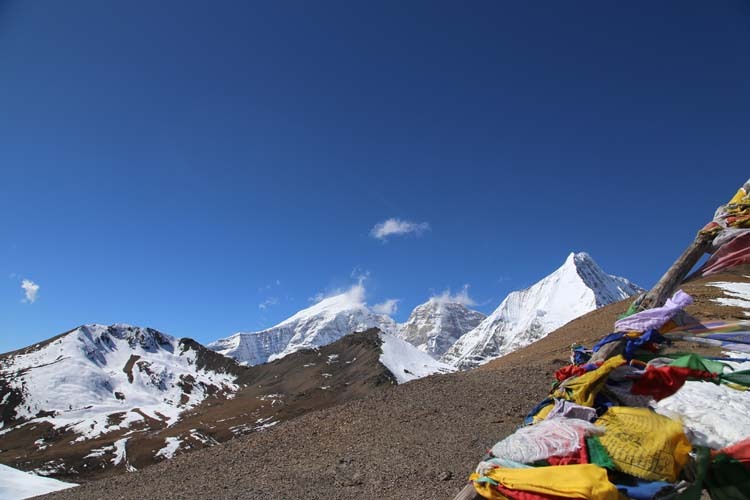 9 nights/10 days, including one acclimatization day at Jhomolhari base camp and a day’s halt at Lingshi. 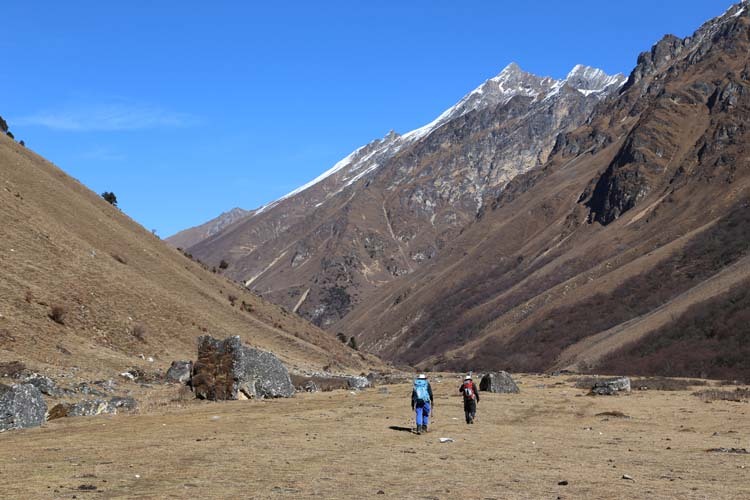 This route takes you over the 4,890 meter Nyile-la and on to Lingshi Dzong (4,370) before turning in the direction of Thimphu via another high pass. 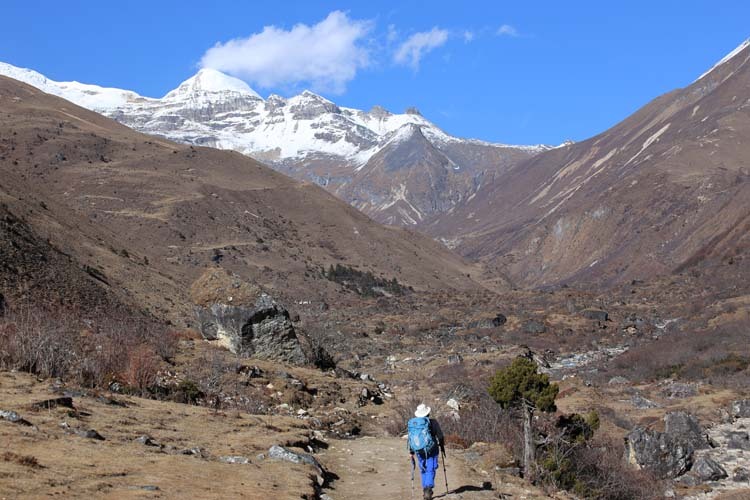 This is an excellent, challenging trek with great views of the high peaks. 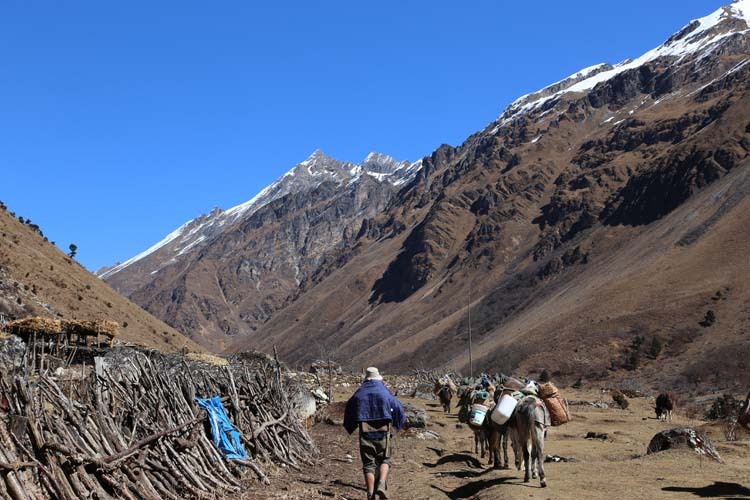 Depending on weather conditions, yaks take over from ponies for the journey beyond the base camp. 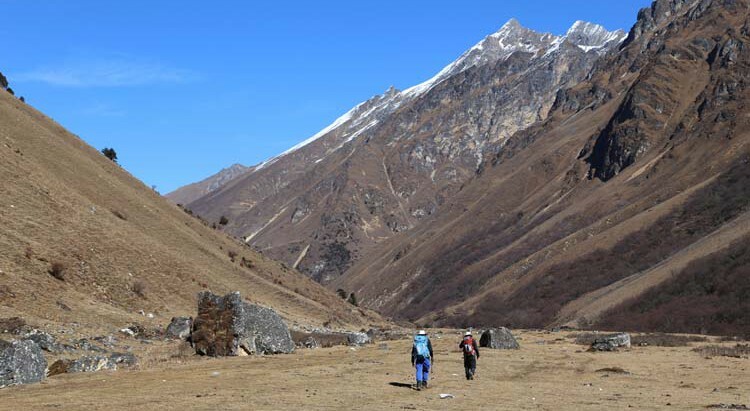 The trek ends in a valley near Thimphu. 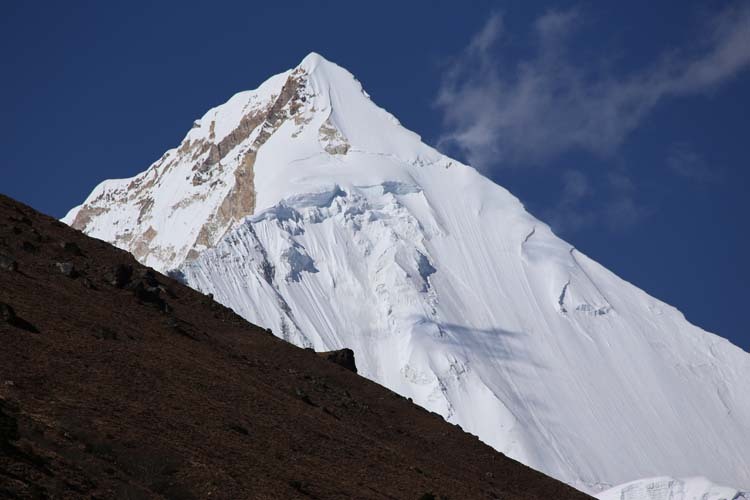 View of the majestic, cone-shaped Mt. 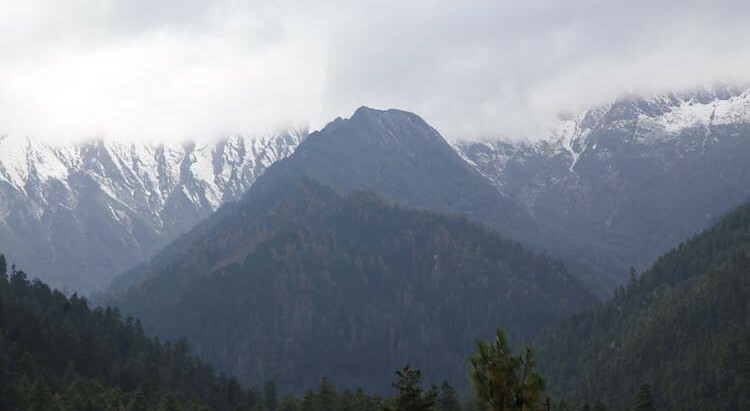 Jichu Drakey.